It's not just the holiday shopping that can kill your budget during the winter. A high energy bill can make anyone a Grinch. 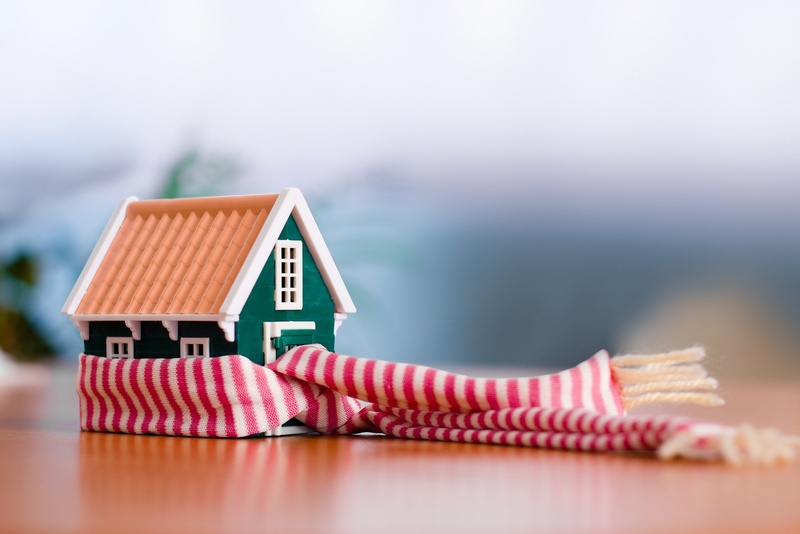 If you're sick of paying more money to the electric company than you do on a gift for grandma, use these tips to keep your house warm over the winter. Consider high quality window shades for your home. With motorized shades you can control their movement with the simple touch of a button.. Before leaving the house in the morning, make sure all your shades are up, allowing sunlight to filter in and warm the house. When you get home, keep those curtains and shades closed to help retain heat during the night. This simple tip can reduce your heating costs throughout the winter. During the hot summer months, most people keep their fans on high but many don't realize there's a winter setting too. Reversing your fans from counter-clockwise rotation to clockwise can help your fans push warm air back down and keep you warm. Keep your fan on the lowest speed and switch the rotation to make your fans work for you even during cold weather. If you frequently move furniture around your home, you may be impeding the distribution of heat throughout your house. Furniture that blocks heating vents can move hot air into a different room, causing huge variations in temperature throughout your home. Worse, if your thermostat just takes readings from a single room, blocking vents in that room can cause your heating system to work overtime when the rest of the house is toasty. Make a habit of checking each vent and making sure it’s clear, every spring and fall. Air leaks are a problem both in the winter and during the summer months. A small gap in a window or door can cause air and heat to leech outside and result in more work for your home air and heating unit. While you're checking your vents, take a few moments to check for drafts in each room. One trick for identifying drafts can be done on a windy day. Start by shutting off your home air and heating system and closing all doors and window. Then, light incense or a candle, and walk through each room. If the smoke or flame pulls towards a window or door, it's signaling an air leak and needs to be repaired. Remember, weather stripping wears down over time so replacement is often necessary. The nights are getting cooler and soon the days will join them. Getting your home prepared can save you money and provide greater comfort during the winter months. Checking vents and repairing leaks can help you keep your energy bills down and if you want a stylish window shade solution, contact Polar Shades at 702-260-6110 for a free in-home consultation.